Why, then, haven’t we previously heard a word about this? Why isn’t it mentioned in any of the history textbooks? How come no one in the media ever talks about this? Movies and documentaries about Hitler are notably silent on the topic. The reason, of course, is that we are victims of the big lie. The big lie, as Hitler himself once noted, is a lie so big that it is difficult to get one’s head around it. People are accustomed to small lies, which is why they can detect them. This, however, is a lie so big that it doesn’t merely conceal the close connection between Hitler and the left; it also pretends that Hitler was a “right winger” and that his true American descendants are Trump and the Republican Party. 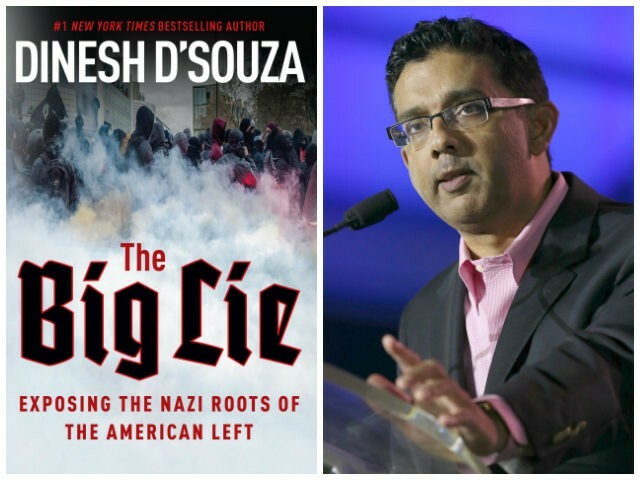 Big lies don’t just require gullible people; they also require powerful cultural institutions like academia, Hollywood, and the media to help sustain them. Progressive Democrats dominate these institutions, which is why they have been able to get away with a big lie like this one. They have not merely covered their tracks; they have virtually foisted the fascist label on the political right. Historian Timothy Snyder makes the same point in Bloodlands, “As Hitler imagined the future, Germany would deal with the Slavs much as the North Americans had dealt with the Indians.” Using a formula developed by the Democrats, Hitler sought to drive the Poles, Russians and Slavs from their land; dispatch Germans to take it over; and enslave the conquered peoples that refused to leave. Notice that Rich and Snyder, who are both progressives, never mentioned the term “Democrat.” They are content to say that Hitler got his ideas from the white man, or from the North Americans. Yet it was the Democratic Party under its founder, Andrew Jackson, and then under Jackson’s Democratic successors, that massacred the Indians and drove them west and presided over the ignominious Trail of Tears. This is the actual precedent that Hitler appealed to in formulating his plans of conquest, dispossession and enslavement. While Fredrickson—another progressive scholar—blames “American” laws for inspiring the Nuremberg legislation, what he means specifically is the Democratic Party’s Jim Crow laws. Let’s remember that every segregation law in the South was passed by a Democratic legislature, signed by a Democratic governor, and enforced by Democratic officials. The Nuremberg team carefully studied these laws that were mainly aimed at blacks and used them to formulate their own racist legislation mainly aimed at Jews. At Nuremberg, the Nazis sought to preserve Nordic racial purity by outlawing racial intermarriage with Jews in much the same manner that Democratic anti-miscegenation laws outlawed racial intermarriage with blacks. Yet the Nazis balked at defining Jews as anyone possessing “one drop” of Jewish blood in line with the Democratic “one drop rule.” Incredibly the Nazis rejected the one-drop precedent of their American counterparts as too harsh. They defined a Jew as one who has predominant Jewish ancestry—usually characterized by three Jewish grandparents. Hitler’s views—which closely parallel Sanger’s—provided the basis for the Nazi sterilization laws of 1933 which began by targeting “imbeciles” and the mentally retarded, and later expanded to cover Jews, gypsies, and other social undesirables. While American progressives emphasized forced sterilization—Sanger’s preferred remedy—Hitler also implemented euthanasia carried out by carbon monoxide in gas chambers. These gas chambers were first devised to eliminate the “unfit” and later became part of Hitler’s “final solution” for the Jews. A further example of progressive enthusiasm for Hitler involves Charles Goethe, founder of the Eugenics Society of Northern California, who upon returning from a 1934 fact-finding trip to Germany to examine Nazi sterilization programs, wrote a congratulatory letter to his fellow progressive Eugene Gosney, head of the San Diego-based Human Betterment Foundation. I am not suggesting that Hitler derived his racism, his appetite for conquest, or his willingness to sterilize and euthanize his fellow citizens from American Democrats. He did, however, learn how to frame his policies of racial discrimination and Nordic supremacy, his lebensraum strategy of mass displacement and subjugation, and his genocidal mechanisms for exterminating the “unfit,” from his fellow leftists and progressives in the United States. This is the disgraceful legacy of the Democratic left. Scholars and media pundits who know this history are deeply frightened by it. They realize that if young people discover it, if it comes to become widely known, then the whole progressive Democratic project will be discredited. No longer will progressives be able to pose as the part of the good, the true and the beautiful; on the contrary, they will be exposed as a partly complicit in racism, mass murder and genocide.